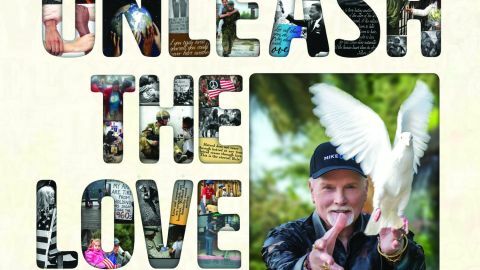 Mike Love tends to be painted as the bad guy in the story of the Beach Boys; the domineering profiteer who’d rather play safe and commercial than accommodate the creative ingenuity of Brian Wilson. “For those who believe that Brian walks on water, I will always be the Antichrist,” he once said. While the received narrative is both unfair and way too simplistic, Love doesn’t do himself any favours on his first solo album in 26 years. As if he doesn’t quite believe in these songs himself, he’s opted to append Unleash The Love with an extra disc of re-recorded Beach Boys classics (California Girls, Good Vibrations, Help Me Rhonda etc), presumably as a gesture of appeasement. Nothing can save the album itself, however. Love offers up the kind of unrelentingly tame MOR that makes Christopher Cross look edgy. What’s worse, the lyrics are packed with so many trite clichés that you can’t help but wince, whether he’s wishing for world peace on Make Love Not War (which manages to make room for the Trump-supporting Love to thank the USA ‘and all the folks protecting us very day’), dredging up seafaring love metaphors on Too Cruel or fashioning sappy eco ballads like Only One Earth.